Sometimes it is easy to lose sight of the real task at hand. I get caught up in visiting sick folks, preparing sermons and teaching Bible studies… attending meetings and organizing teams. Important stuff for a Pastor! The days tick by and we lose momentum as our focus is decidedly internalized. We miss that sense of satisfaction in ministry and we miss God’s goal for the community. If we were to REFOCUS and concentrate with equal intensity on what is happening out in the fields/neighborhoods (like the Samaritan village that was converted after one woman’s encounter with Jesus), maybe we would better understand what God is doing and would find greater satisfaction in ministry. Jesus found fulfillment and satisfaction from doing his father’s work, which was all about the mission field and the harvest. Jesus knew what was really important and didn’t get lost in expectations of people or job descriptions. His focus was always and only on the task God was leading him to. I want that kind of confidence and courage. To just go and do the thing I think God is calling me to. Even if no one goes with me… even if it has nothing to do with my “day job”… even if it is hard or scary or messy… to do God’s will and finish God’s work in the field… not in my office. Prayer for the Day: Dear God, we are so glad that Jesus came to teach us about your will for the world. We know that the fields are still ripe for harvest, but we don’t venture out into the fields as much as we should. Give us the confidence and courage to spend some time in our fields, at the well, in the jail or at the coffee shop… wherever your spirit leads us. Help me to REFOCUS on the world outside of the church and do what you call me to do. In Jesus’ name. Amen. As children of God we have all sinned and fallen short of living in obedience to God’s Word. We have two basic responses. Many people choose the first response and run away from the church, accountability, and God. Because of the Holy Spirit living inside of us we are in constant turmoil and never at a place of rest and peace. Our second choice and the most powerful response is to run to the church so we can meet Jesus again. It is in the church that we can find reconciliation, renewal, and repent. Jesus was to pronounce judgment on a woman caught in adultery. According to Jewish law, there was no need for a jury and no need for trial. Death by the hands of her accusers was the prescribed sentence. Her accusers, all men who had unrevealed sin in their lives, brought her before Jesus to gain confirmation about their intentions to stone her to death. They came to Jesus looking for validation of the judicial code; Jesus ignored the code, exposed the sins of the men, and gave the woman a directed verdict. Not only did he stop the crowd from their murderous intentions, he also pronounced a life-giving and life-changing sentence. • Jesus restored her worth as a viable member of the community. • Jesus redeemed her from worrying about the guilt that she previously carried. 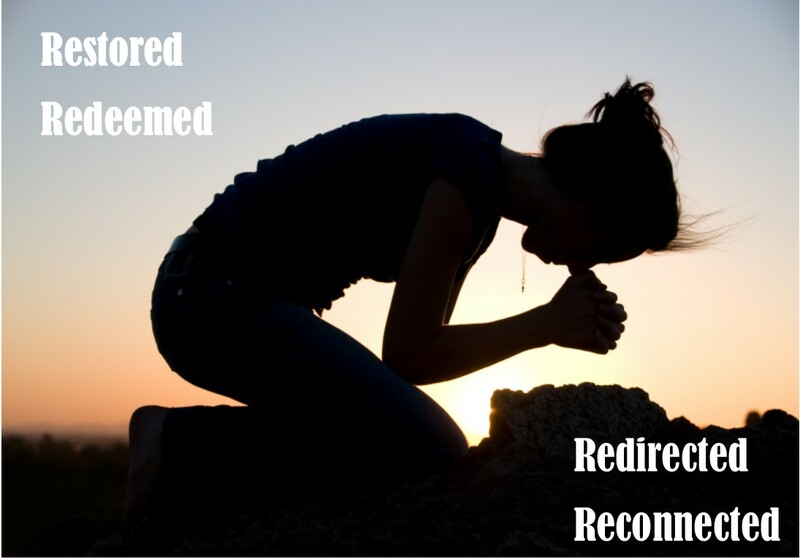 • Jesus redirected her will from self-destructive behaviors to a life committed to worshiping God. • Jesus reconnected her to the grace and unconditional love of God. During this season of Lent I want you to know that this is a good time to recommit your life to Jesus Christ. No matter what you have done, Jesus loves you and wants to be in a committed relationship with you. If you will confess and turn from sin and disobedience, Grace is available to everyone that invites Jesus to enter into our hearts as Lord and Savior. Will you let Him enter your life in a whole new way? Those who are already believers and committed my challenge to you is to stop judging everyone people and take off your masks. We are all sinners saved by grace. When people have the courage to seek God and search for community we should be ready to love them as Christ has loved us. Prayer: God, even when I blow it and I am disobedient to you, allow me to experience your love and grace. Amen. Spiritual Formation is not Optional – It is Essential! Spiritual formation is the process of being conformed to the image of Christ by the gracious working of God’s spirit, for the transformation of the world. This definition adapts and expands Robert Mulholland’s work Invitation to a Journey (InterVarsity Press, 1993). Companions in Christ Training © 2004. All rights reserved. This is the best definition of spiritual formation that I have found. I like it because it emphasizes the process. We can not take a class to learn to be a disciple of Jesus Christ. We can not go on a weekend retreat and expect to be a fully mature follower of Jesus Christ. It is a reforming,re-engineering, realignment and repositioning of our core values that shapes our lives as disciples and allows us to live into the call to be completely devoted follows of Jesus Christ. As a disciple of Christ my commitment to the community of faith will have priority over many of the culturally popular social trends. Soccer, football, baseball, basketball, cross country, golf, and other sports practice schedules will not take priority over the gathering of the saints. Our family obligations will be aligned with the priority of small groups and worship. We can not make disciples in anyway shape or form but we can create an environment for men and women to grow. Our faith communities must strive to be the most empowering, engaging, enlightening and the most significant high impact event of our members lives. This is the total life engagement precess that Jesus engaged with the disciples. They followed him around, observed his disciplines, participated in his life encounter groups with other “sinners” and eventually became the men who would carry the message to the world about our resurrected Savior. Can the modern mainline church re-engineer its ecclesiastical culture from events and committees to life style engagement and the beloved community of God? Can the administration of the church be driven by technology and the life of the church center around meals, coffee, pray and studying the scripture? I believe the answer is yes but the resistance will be significant because the old way must be evaluated and then sentenced to death. Holding on to mediocrity in ministry is the enemy of excellence. Holding on to the past is the enemy of God’s vision and call to the future.